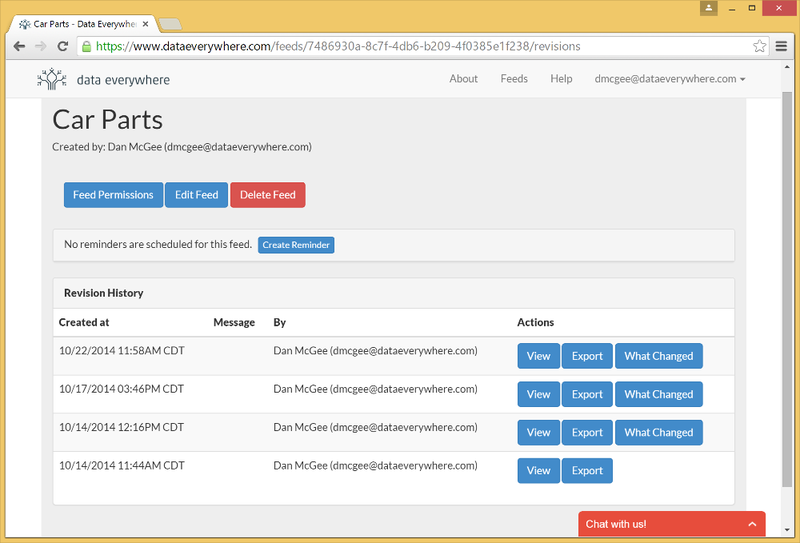 Data Everywhere keeps track of not only the latest revision of your data, but also prior revisions. Using the web interface, you are able to download old revisions, compare revisions to prior revisions, and view how certain values in the data have changed over time. Note that revision history is only available for certain plans and subscriptions. For more details, please refer to our subscriptions overview page.